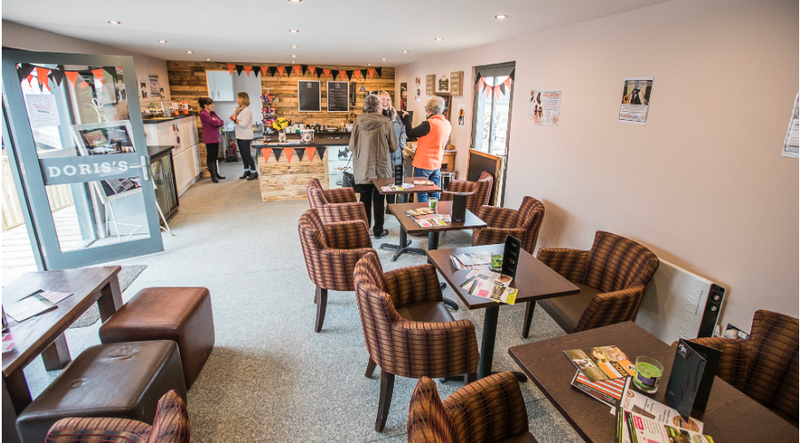 A new cafe built by Rubicon Garden Rooms at North Clwyd Animal Rescue Centre (NCAR) at Trelogan Flintshire, a North Wales pet refuge, has been named Doris’s Bunker in honour of the tea-serving gran whose legacy funded the work. Doris Davies served up thousands cups of tea in her career, including brewing up for spooks cracking the WWII Enigma code. The 95-year-old’s grandson David today (Feb 21) officially opened the cafe. Doris, an animal lover from Kinmel Bay, left more than £36,000 in her will for the Flintshire centre, to say thanks for the Irish terror and poodle she adopted from NCAR. Doris also left donations to Rhyl lifeboat and her local church. 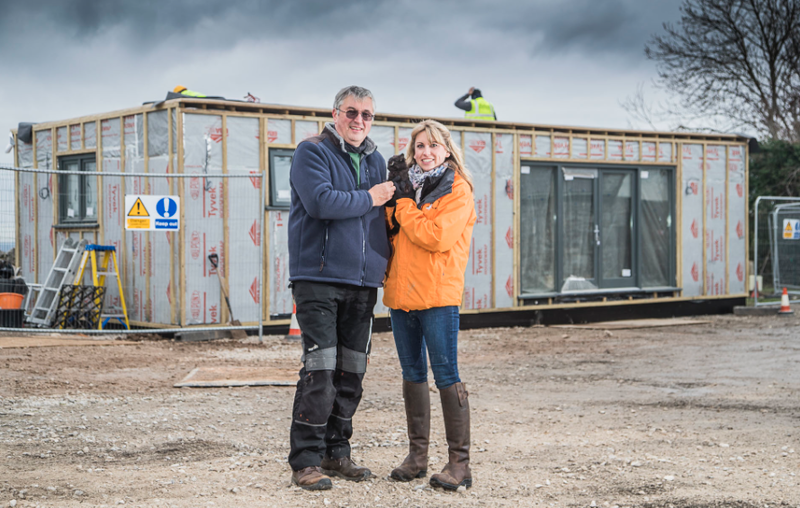 Deeside-based Rubicon Garden Rooms also gave a substantial discount on the new 600 square foot cafe, where teas and snacks will be served up to NCAR’s staff and many volunteers, plus visitors seeking to adopt a rescue animal. David and his family travelled from Ludlow, Shropshire, to perform the opening ceremony, and were delighted to see that the cafe will be named after Doris. David’s twin brother Glynn was unable to attend the opening ceremony due to family commitments. The identical twins only discovered three years ago that Doris had once worked at Bletchley Park in Buckinghamshire, the central site for Britain’s codebreakers during World War II, who famously decrypted the German enigma machine. HGV driver David, who has a rescue greyhound, said: “It’s amazing that in just a few months this cafe has been built, and it’s all thanks to our grandmother. She was a remarkable lady and it is fitting that her name should be over the door. Glynn, a firefighter who shares Doris’ love for pets, said: “It is perfect that our grandmother’s name should continue with this cafe - I am sure that she would have loved to have seen it. She did like a cup of tea! NCAR fund-raising manager Nicky Owen, whose parents Anne and Neil run the centre, said: ”When we found out that Doris worked in tea-rooms for most of her life, in Llangollen and also at Bletchley Park, we thought it would be fitting to use her very generous legacy to create this much-needed cafe, and then name it after her. “The team at Rubicon Garden Rooms has worked very closely with us to ensure that the cafe meets the requirements of Flintshire Council. 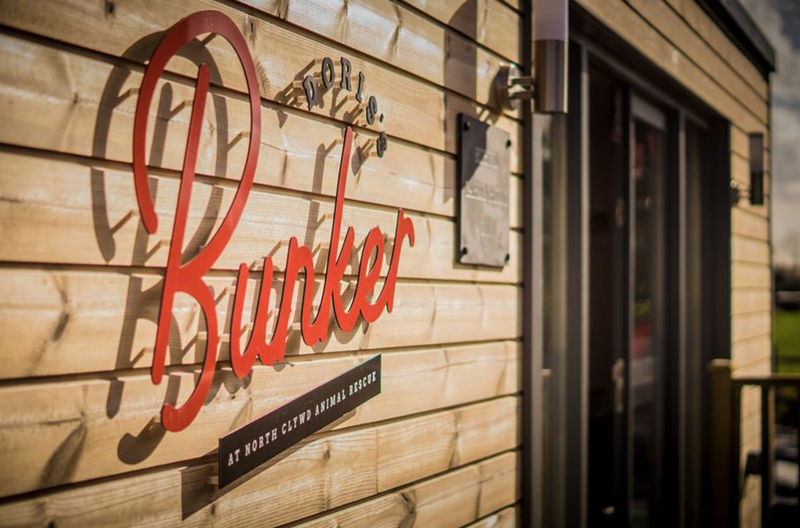 “They worked through some pretty dreadful weather to create the cafe, ready to be fitted out. We are very grateful for their efforts, and for the discount we received, which has enabled us to make Doris’ generous legacy stretch even further. “Our supporters are always extremely generous - we received donations of catering equipment along with tables and chairs plus other items. Rubicon Garden Rooms founder John Lyon said: “As an animal lover I was delighted to be working with Nicky and the team at NCAR on this project. The cafe replaced the very cramped break-out area for volunteers and staff. 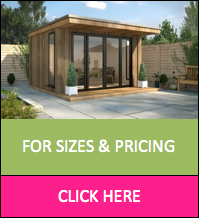 “This was one of the largest projects we’ve worked on so far, and the first public space, as our Garden Rooms are usually for relaxing, Garden Offices or extensions to provide annexes for dependant relatives. “The site looks out towards the mouth of the Dee estuary and so is very exposed, and the design has taken all that into account to create a snug and warm area in which to relax.